Autism spectrum disorder (ASD) is known to impact family functioning and decrease family quality of life. Unfortunately, many parents of children with ASD are left to coordinate their child’s care with little ongoing support or education. There is a growing interest in parent-to-parent (P2P) programs to provide family supports with the goal of improving family outcomes. 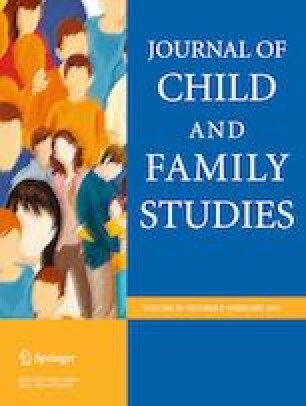 This study investigates a P2P program for families of children newly diagnosed with ASD that combines (1) family-centered action planning, (2) education on accessing complex systems of care, and (3) ongoing mentorship by a trained Parent Mentor for six months. In a randomized controlled trial, the intervention was given to a group of parents (N = 33) and compared to a waitlist group (N = 34). The intervention consisted of development of an individualized action plan and training on navigating service systems immediately after entry into the program, followed by monthly check-ins by a trained parent mentor for six months. An intent-to-treat analysis examined the impact of CPM on family quality of life, family functioning, service utilization, and program acceptability and satisfaction. The intervention improved satisfaction with disability-related services and prevented rigidity in family functioning. Services used outside of school increased for both groups but did not meet the national recommendation. Participants described the program as highly acceptable and indicated that it improved their emotional wellbeing. The CPM program may be a useful tool for helping families cope with their child’s ASD; although, additional research is needed to confirm these effects. This study is funded by grants awarded to Principal Investigators Cordelia Robinson and Eric J. Moody (R40MC022643 and 2 T73MC11044-04-00), through the U.S. Department of Health and Human Services, Health Resources and Services Administration, Maternal and Child Health Bureau and the Colorado Clinical & Translational Sciences Institute (CCTSI) with the Development and Informatics Service Center (DISC) grant support (NIH/NCRR Colorado CTSI Grant Number UL1 RR025780). E.J.M: Designed and executed the study, conducted all data analyses and wrote the paper. K.K. : Designed and executed the study, collaborated on all data analysis and wrote the paper. D.S. : Collaborated on the execution of the study, the writing of and editing of the final manuscript. LK: Collaborated on the qualitative analysis, and the writing of the qualitative results and editing of the manuscript. B.R. : Collaborated on the quantitative and qualitative analyses, and on the writing the introduction and qualitative results and editing of the final manuscript. J.D. : Conducted the statistical analyses and writing of the results section. Collaborated on the editing of the final manuscript. L.C.D. : Collaborated on the writing and editing of the final manuscript. C.R.R. : Collaborated on the design of the study, supported the implementation of the study and collaborated on the writing of the paper. All procedures performed in studies involving human participants were in accordance with the ethical standards of the University of Colorado and with the 1964 Helsinki declaration and its later amendments or comparable ethical standards. The Colorado Multiple Institutional Review Board provided oversight of this research.